Desmond Sweke, Chairman of Bet David Sandton had a very constructive lunch meeting with Dr Hargey from the Open Mosque on 23 April. 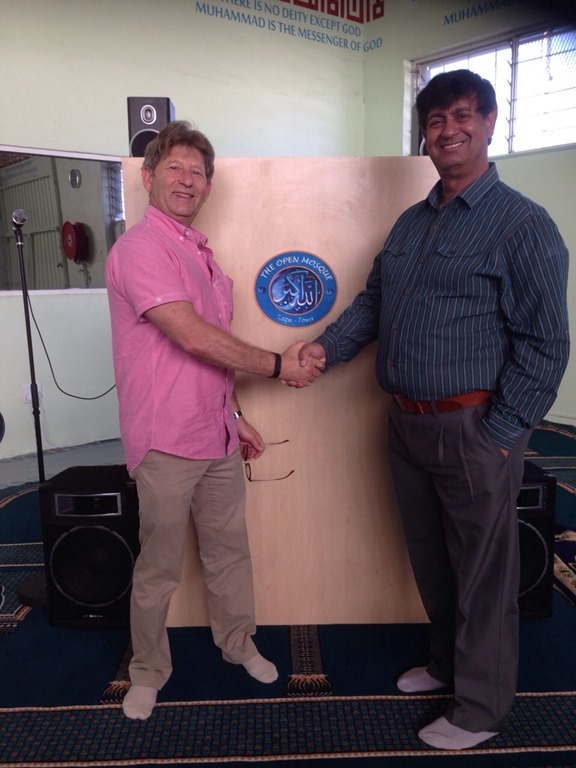 Desmond and his wife Ashley also attended Friday services in the Mosque on 24 April, and found that the egalitarian and other principles of the Open Mosque are remarkably similar to ours. 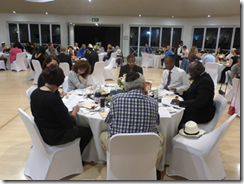 Last weekend, Bet David Progressive Jewish congregation in Sandton, Johannesburg joined thousands of Jewish communities around the world in celebrating Pesach, the festival of Freedom. 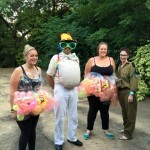 Celebrations included Festival Services and a family Seder on the first night. 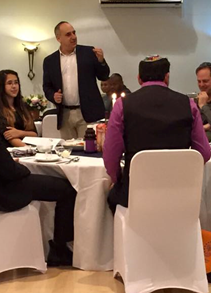 More than 100 members and guests followed the invitation of Rabbi Schell and Rabbi Margolis to join the congregation for the Festival Evening and Shabbat service, and most of them stayed for the Family Seder. 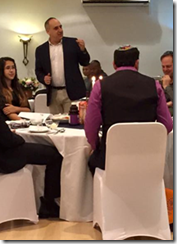 The Guest of Honour was the Israeli Ambassador to South Africa, Arthur Lenk, who opened the Seder by remembering the strong connection of the festival with the Land of Israel, not only in the past, but also today, and how important it is to maintain such connections. In her sermon, Rabbi Margolis pointed out the important role of women in the Exodus narrative, while Rabbi Schell focused on the personal responsibility everyone has to protect the freedom Jews can enjoy today and to take part in the process to expand this freedom to every human being. 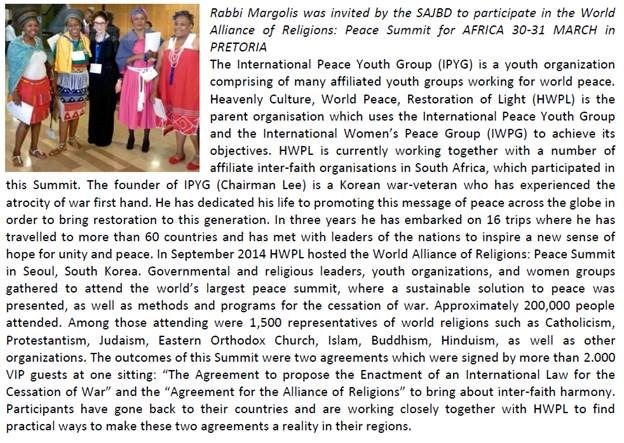 Bet David is the only Jewish Congregation in South Africa with a female Rabbi as part of the rabbinic leadership of the congregation. 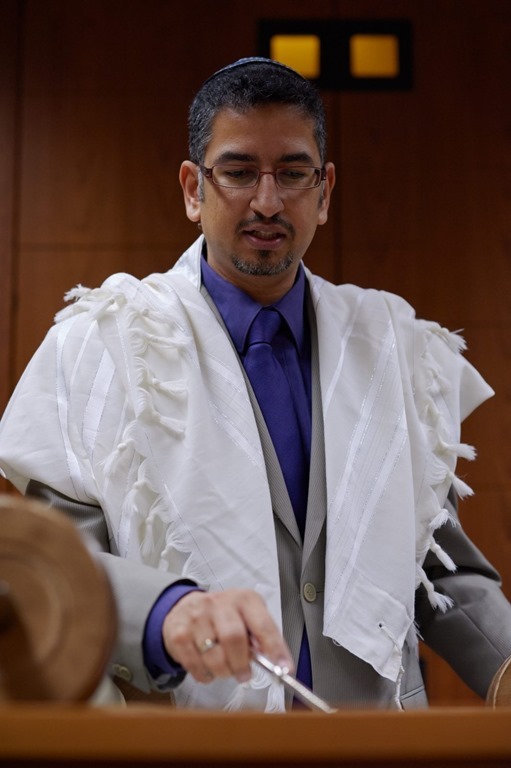 Both Rabbi Margolis and Rabbi Schell were ordained at the Abraham Geiger College in Berlin, Germany. 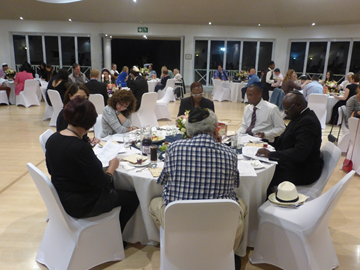 70 members and guests joined Bet David’s Family Seder. With this Shabbat’s Torah reading, we end the series about the building of the Mishkan, the Tabernacle. In the last weeks, Jews all over the world have studied these instructions and have discussed the meaning of the Mishkan and of the Temple, which replaced the Tabernacle in later times. Progressive Jews may have added their very own views to these discussions, as they no longer believe in a need for a Temple, a centralized “holy place” for worship and sacrifices, following the prophetic words that God is with us, wherever we are, and that prayers are the offerings God favours most. Jews have proven over centuries that the covenant with God does not need a Temple. 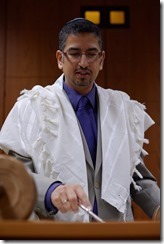 Jews could and can practice Judaism in a meaningful way everywhere in the world. I can relate to this approach, because I, personally, cannot see any sense in going back to a system that limits our encounters with the Eternal to only one place. From a religious point of view, I stick to the position above because I am convinced that Jews don’t need the Kotel to encounter the Eternal. But Judaism is not a religion alone. It is so much more than that. It is a covenant between individuals as well – we are one people – “Am Israel”. We share a common history, common values and a common heritage. We are all connected in an invisible chain from the past to the future – “Le Dor va Dor”. Our Sages, who, after the destruction of the Temple, transformed Judaism into a religion without the temple cult, did an amazing job. They detached “religion” from the place, but kept the people connected through and to this place. Even though they turned Judaism upside down, they kept Jerusalem as the centre of Judaism. Not only as a place where God should be worshipped, but as the centre of our hope and of our people, giving us strength in the most daunting moments in our history. Our Torah reading ends with the powerful image of God taking possession of the Mishkan that was erected, “in the view of all the house of Israel”. It was the centre of the camp, visible to all Israelites, and it was the stronghold of the people, giving them hope and much more of a sense of belonging together. The Western Wall has always been a symbol of this and is still the central point of the Jewish People. The Western Wall therefore belongs to all Jews, no matter where we are, what we are, or how we pray. As long as we are all facing Jerusalem, in prayer, song and thought, and sharing our common heritage, we are not losing the bond that connects us as one people – “Am Israel”. 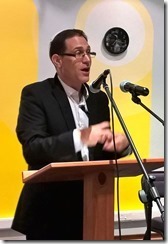 Rabbi Adrian M Schell is the Community Rabbi of Bet David in Morningside. The unveiling of the Heritage Site Plaque awarded to Temple Israel took place on 22 November 2014. It was a truly auspicious occasion. They were honored by the presence of Rabbi Julia Margolis, with Rabbis Jacobs and Shaked coming after their own services. Steve Lurie, Honorary Life President SAUPJ, Giddy Lief, Chairperson WPJ, Steve Cohn past Chair SAUPJ, and members of both Beit Emanuel and Bet David were present. Leah Livni & James Lomberg from SACRED, and Aviad Sela from the Israel Centre were present. In addition we had good representation from several Christian organizations in the area. Notably, Impact for Christ Ministries and The Lutheran Church. There were brief articles in the Jewish Report both prior to, and after the event. Charisse Zeifert from Chai FM interviewed me after the event . My special thanks to Jacob Hurwitz, Serona Reitzik and Temple Israel staff for all the work they put into making this event the success it was. Letters of congratulations were read out from Rabbi Joel Oseran, Vice President WUPJ, and Alvin Kushner, Chair SAUPJ. Temple Israel in Hillbrow is the oldest Progressive Synagogue in South Africa, having been established in 1936. The synagogue, which has operated continuously since then, has recently been accorded heritage status and the Blue Heritage Plaque will be unveiled on 22 November 2014. Temple Israel still serves a small but active congregation and holds services weekly. The Chairperson of the synagogue, Reeva Forman, has expressed her gratitude to the Johannesburg Heritage Council for their decision to confer heritage status on Temple Israel. 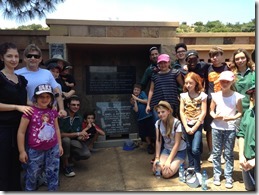 Inspired by the idea of the Torah portion, Terumah, that an offering which comes from the heart is creating and sustaining a Jewish community infrastructure, Netzer South Africa organized, in co-junction with the progressive synagogues Bet David, Sandton, and Beit Emanuel, Johannesburg, a cemetery clean up at the Johannesburg’s Jewish Westpark Cemetery. 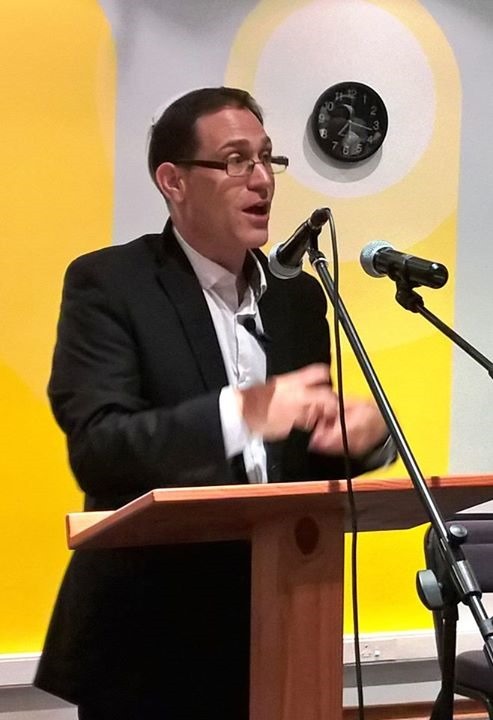 Steven Adler, President of the Chevrah Kadisha, who welcomed the group at the cemetery, thanked Netzer and the children for this wonderful idea and their dedication. At the Wall of Remembrance, Simon Hochschild gave a short introduction to the place, before the youth learned, in a Peula (learning session), more about the origin of Mitzvot and the idea of Tikkun Olam. As part of the program, all participants cleaned the memorial plaques and the area around of the Wall of Remembrance. 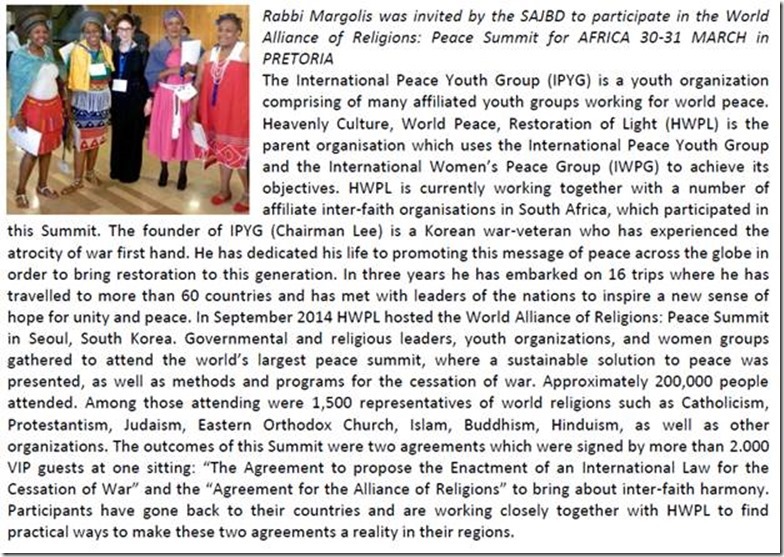 Rabbi Margolis (Bet David), Rabbi Shaked (Beit Emanuel) and Rabbi Schell (Bet David) were moved by the engagement of all the participants and the Netzer Madrichim, and the contribution the youth movement is making to the Jewish community in Johannesburg.